As more magazines take advantage of the iPad’s popularity, one thing thus far has been clear: most publishers are simply reproducing their print products on the digital screen. Magazines have traditionally thought of themselves as kind of a locked book, of a complete, discreet object. Ideally, something that is going to be really interactive or live out on the web needs to be more like an open book — like if you took the cover of the magazine and turned it outside in so that people could discover and access the stories more effectively. A screenshot from the Flipboard iPad app. The magazines that are doing the best job right now wouldn’t be considered traditional magazines at all. 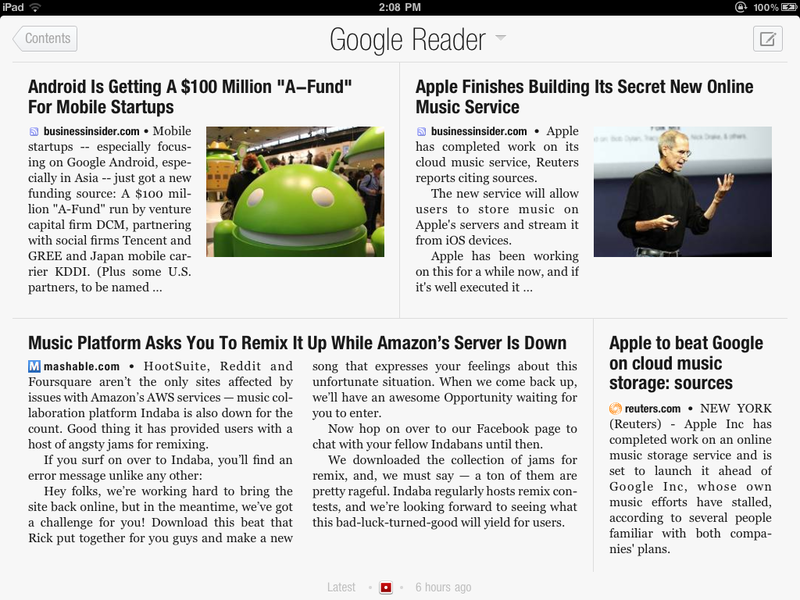 Flipboard, Reeder, Zite — these things are really more like glorified feed readers. Or feed readers that create a beautiful presentation layer. These magazines do a good job of bringing the type of interaction digital media consumers expect. I don’t think many mainstream magazines have quite reached that level of interactivity.